The Be Modern Marden electric fireplace consists of the Marden 42" fireplace surround in a cashmere finish, cashmere painted back panel and hearth and the Ventris electric fire with chrome trim. 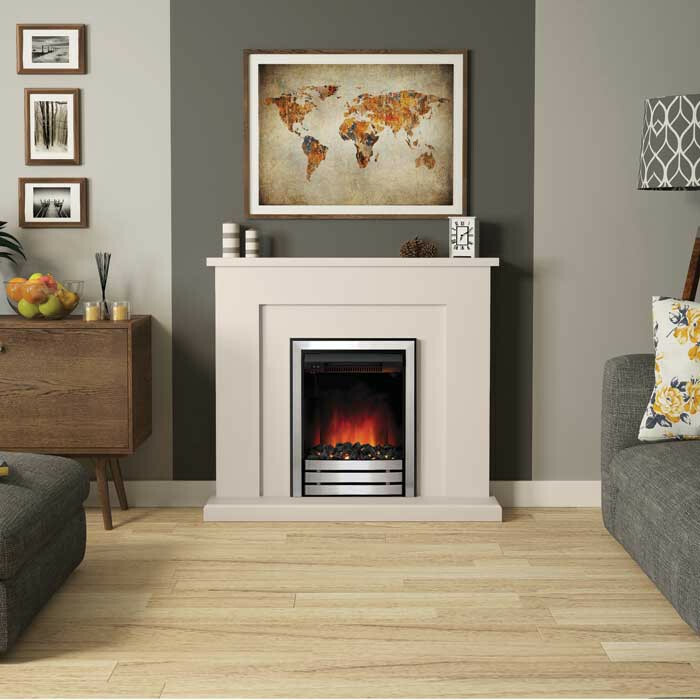 The Be Modern Marden has a clean, crisp design refined to simple angular architecture which compliments the cashmere finish perfectly. 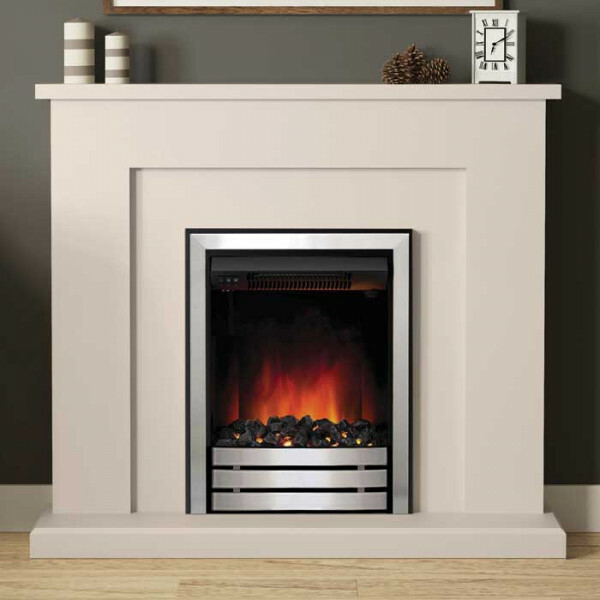 The Marden features a contemporary looking LED electric fire with a realistic flame effect flowing from the coal fuel bed. 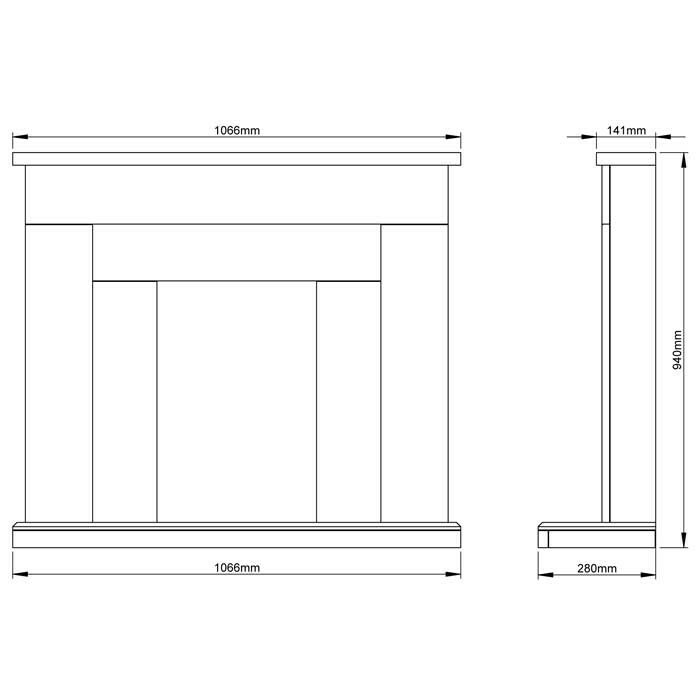 There is no need for a chimney or recess for this fireplace, it can be easily installed to a flat wall with the electric fire being plugged to a usual domestic socket.